Conceal Textured Caulking for log homes delivers performance that's hard to see. 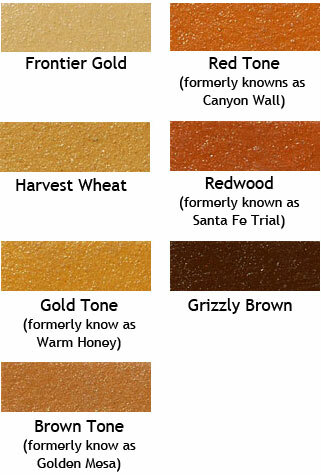 Conceal Textured Caulking colors blend in with the most popular stains used on log homes, and Conceal's light texture simulates the natural roughness of wood. The combination of color and texture makes it hard to see where the caulking ends and the logs begin. Instead, they just blend together. Although the caulking is hard to see, Conceal Textured Caulking delivers performance. 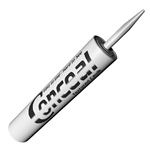 Additionally, Conceal Textured Caulking is excellent for filling and concealing log checks. Is resistant to rainfall in 1-4 hours. Has a limited lifetime warranty. Has superior elongation, memory, and adhesion. Lineal feet per full gallon (231 cu. in.). Example: One full gallon is sufficient material to fill a joint 1/2" wide and 3/8" deep and 102' long. Cartridges: When figuring feet per cartridge for a particular joint size divide lineal feet by 12. Copyright © 2019 Sisson Log Homes. All Rights Reserved. SEO friendly web design, and search engine marketing support by search engine optimization firm SEO Advantage, Inc.